The best way to experience HRFF28! Grants entry to ALL film screenings, receptions, and most importantly, our signature Red Carpet Event – the exclusive party for All-Access Festival Pass holders. 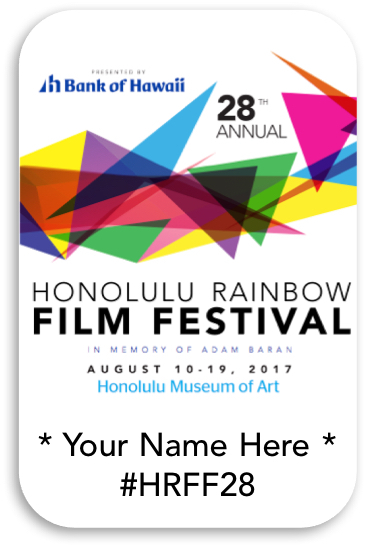 The 2017 Red Carpet Event, presented by Bank of Hawaii, will be an all-evening affair featuring hosted bar, signature cocktails and tasty bites from some of Honolulu’s most popular eateries including P.F. Chang’s, Roy’s, The Baker & Butcher, 12th Avenue Grill, Chef Chai, Bills Sydney and Chiko’s Tavern. Plus lively entertainment; and of course VIP Delegates + Filmmakers.